Deogratious Afimani is the Founder and CEO of tech4farmers Ltd, an ICT company developing and providing tech based innovative services for the agricultural sector since 2012. He is currently responsible for developing tech4farmers’ corporate strategy, growing partnerships, UI/UX and branding. Afimani was a resident entrepreneur and engineering trainee at the National Software Incubation Centre of Makerere University in 2010. He served as a Google Ambassador in 2011 for Makerere University. 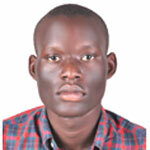 He also interned at the Central Bank of Uganda in 2012 with GIZ on the Financial Systems Development Programme. Afimani is a graduate of Bsc. Software Engineering from Makerere University.